An article by columnist Rigoberto Tiglao revealed that the money gained by former President Benigno Aquino III from the Disbursement Acceleration Program was unprecented, even greater than the money earned by Janet Lim Napoles. He said the missing amount was from 8 to 21 billion pesos. Tiglao said that because Aquino's recipients for the funds was the senate, thus he was not implicated. Tiglao noted how the media is harsh on President Rodrigo Duterte now but has refused to bring light to this issue with Aquino and former Budget Secretary Florencio Abad. He said this is because the media used to be Aquino's "cheering squad in his decapitation of the Supreme Court"
"If the Mamasapano SAF 44 massacre was the Aquino regime’s bloodiest crime, the DAP was its most lucrative one, and justice must be served on both of these, so we can strengthen our institutions, an imperative for our nation’s growth," Tiglao said. Tiglao claimed that billions of pesos have escaped government accounting, raising the distinct possibility that they were stolen in a scheme similar to Janet Napoles’ pork barrel scam. 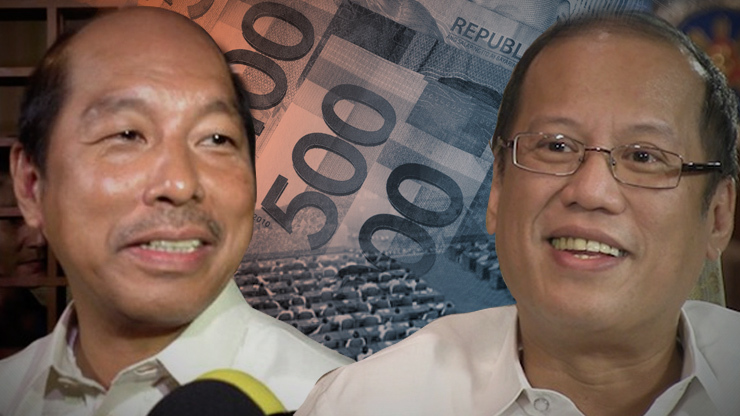 He said only Abad and Aquino knew where the money went. Citing reports from the Department of Budget and Management, Tiglao noted how in three months, DAP funds have become P8 billion to P21 billion less than the first report. Tiglao questioned where the money went, adding that several of the DAP funds supposedly released also were not reported in the recipient agencies’ annual audits by the Commission on Audit. He said however, that there was no audit from the Commission on Audit regarding this money. "Nearly P9 billion in taxpayers’ money, and not audited by the COA? Was the DAP intended to fall between the cracks in the government’s accounting system?" he said.